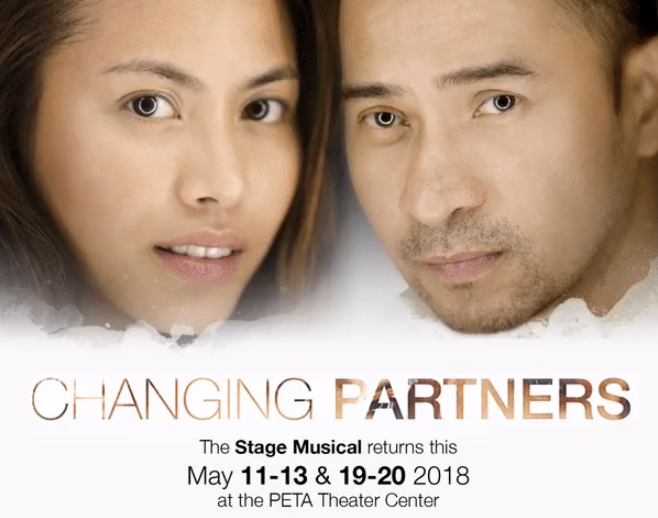 HomeEntertainmentChanging Partners is coming back to the PETA Stage this May! 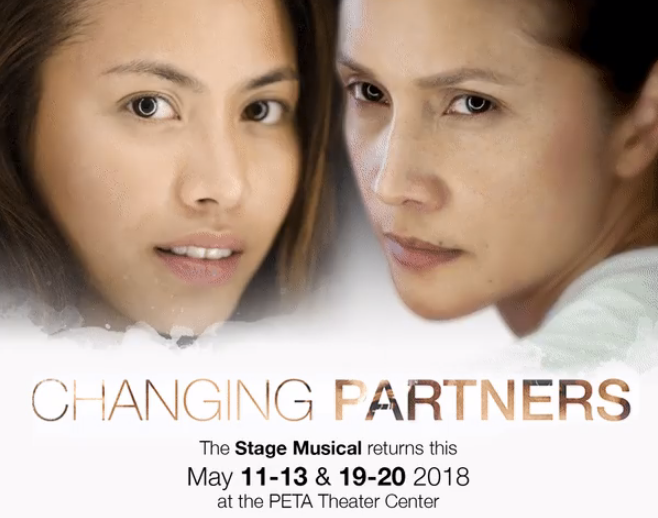 Changing Partners is coming back to the PETA Stage this May! 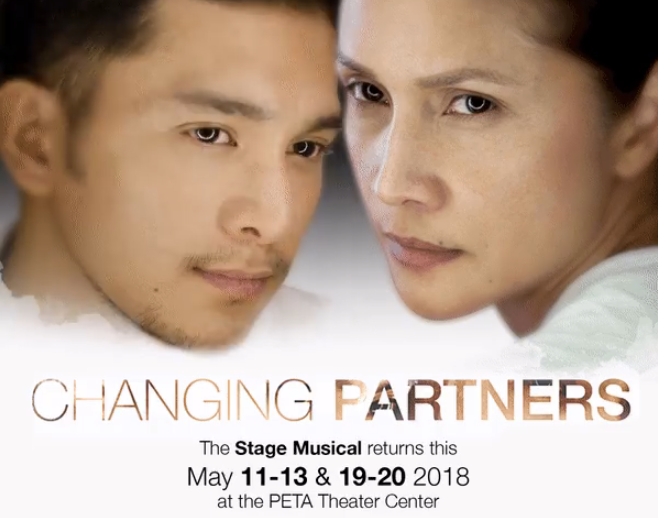 After the successful jump in the big screen along with the landslide of awards in the 2017 Cinema One Originals and 34th Philippine Movie Press Club (PMPC), Agot Isidro, Jojit Lorenzo, Sandino Martin, and Anna Luna are coming back to the PETA Theater Center for the limited run of Changing Partners for the month of May. 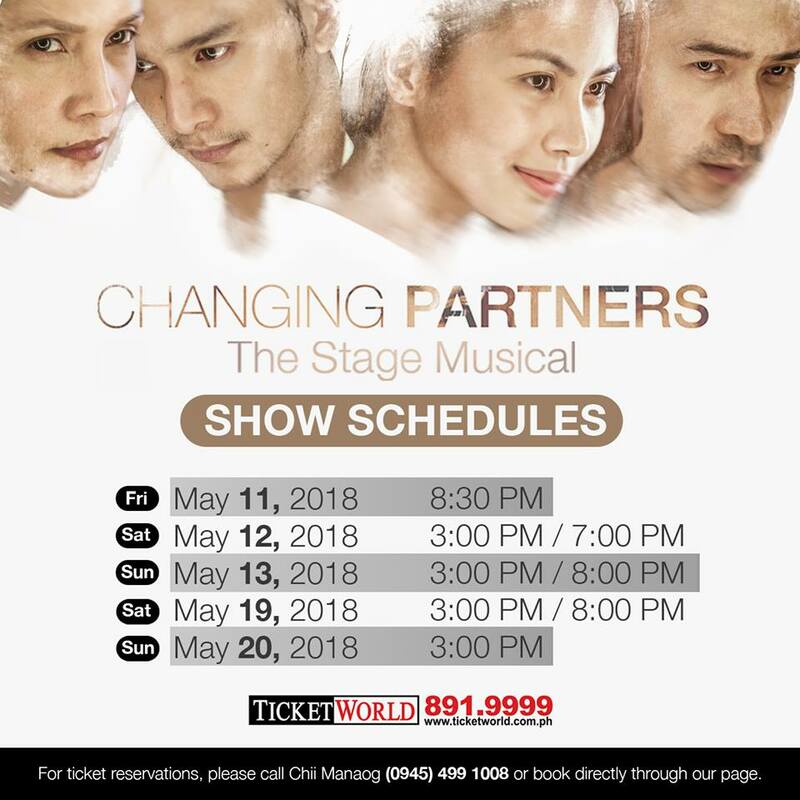 Changing Partners: The Stage Musical will only have two-weekend run at the PETA-Phinma Theater, PETA Theater Center on May 11-13 and 19-20, 2018. For May 11 it will be on 8:30pm, May 12 at 3:00pm and 7:00pm, May 13 and 19 at 3:00pm and 8:00pm and lastly at May 20 at 3pm. The musical play tells the story of couple Alex and Cris–their love relationship and at the period of breaking up. The film tells the story in four gender bending relationship variations. Meanwhile, ticket prizes prices for all shows except May 12 (7:00 pm) are Php1200 (VIP), Php1000 (Orchestra Center), Php800 (Orchestra Sides), Php1000 (Balcony Center), and Php500 (Balcony Sides). For the May 12 (7:00 pm) show, it is sponsored by the UPCM Class of 1998 as a fundraiser for the benefit of the National Children’s Hospital Pediatric Surgical and Cancer patients. Ticket prices are Php1500 (VIP), Php1300 (Orchestra Center), Php1000 (Orchestra Sides), Php1200 (Balcony Center), and Php800 (Balcony Sides). You can book your tickets through Ticketworld (http://bit.ly/CPticketworld). 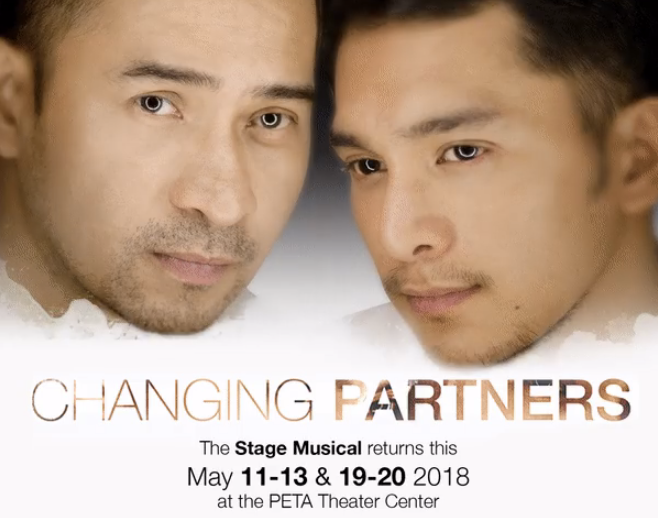 You may also call or text (0945 499 1008) or send a message to the PETA Theater Center Facebook page (https://www.facebook.com/PETATheaterCenter for inquiries and reservations.